Soon, Dell will add a 75-inch model to its line of 4K interactive touch monitors. As with the 55-inch and 86-inch versions, the C7520QT is intended for use in group collaboration. The monitor supports 20-point multi-touch, to allow multiple people to interact with the screen at the same time. 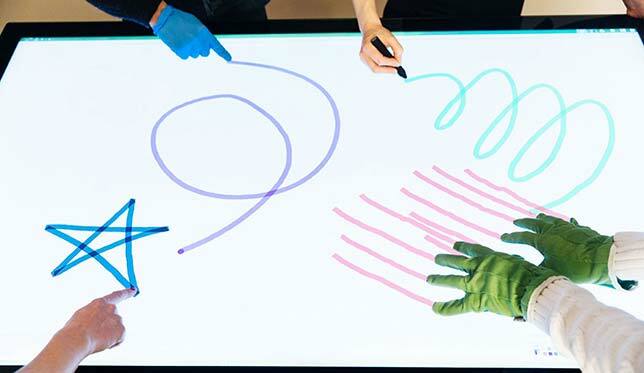 Similar to Microsoft's Surface Hub, content on the display can be manipulated with fingers or palms. The hardware incorporates FlatFrog's InGlass, which Dell already uses in its large-format interactive displays. InGlass has found wide use in not just education but also corporate environments. An optional AV cart to allow the display to be mobile. The monitor will be available later this spring, starting at $6,000.